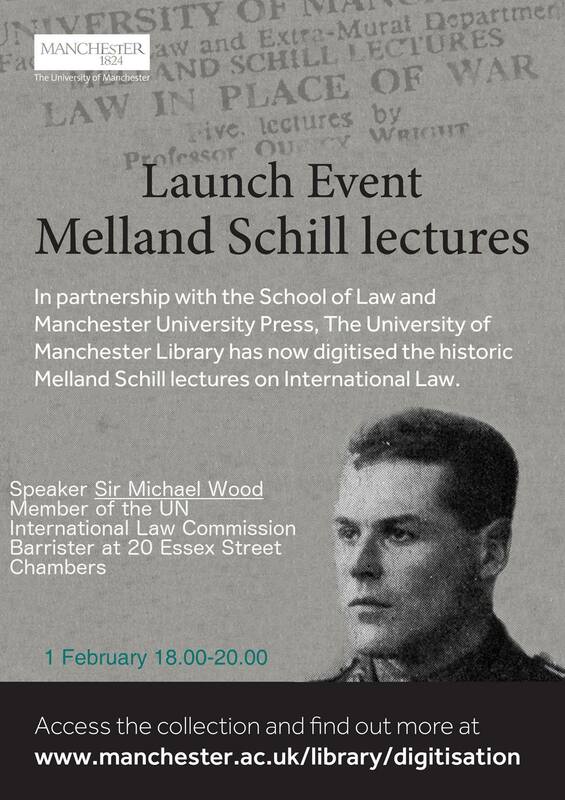 In partnership with the School of Law and Manchester University Press, The University of Manchester Library has now digitised the historic Melland Schill lectures on International Law. A launch event will take place on 1st February at 20 Essex Street Chambers. See below for more details.